Blending easily with the Island lifestyle, they're one of our most popular items. Great for lounging around the house, or after the shower, kimonos always make you feel beautiful. The belt is separate, so the kimono can easily be worn out to dinner as an evening coverup. 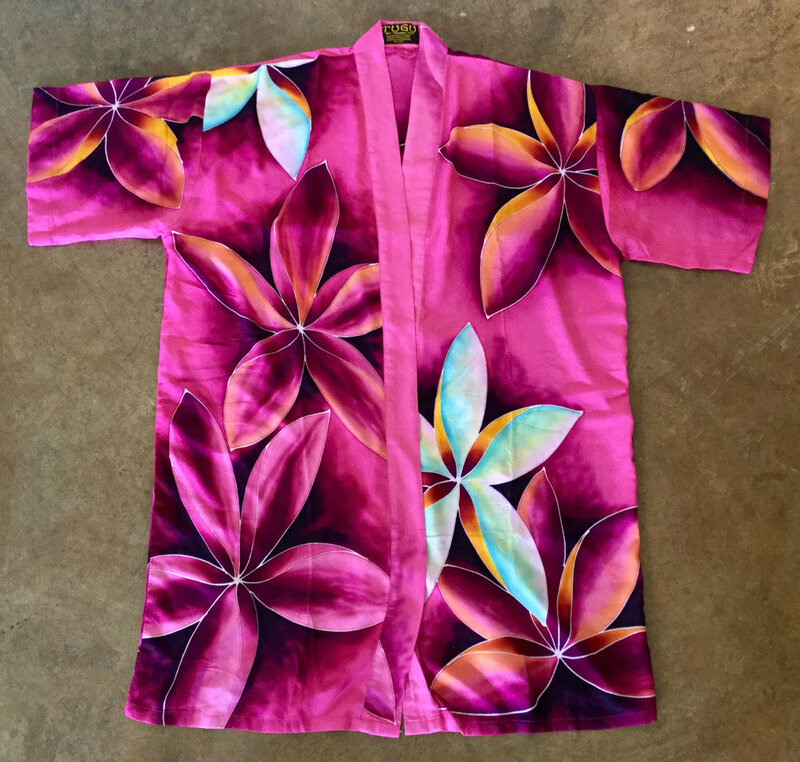 Cut mid length, from rich rayon, and hand painted in beautiful island motifs. Designed with luxury in mind. One size.